Marble is an exquisite building material. It has been used for centuries for sculptures and carvings. With proper care, marble can be a beautiful material for fountains too. The naturally softer properties of marble make this material perfect for highly detailed carvings in the stone. 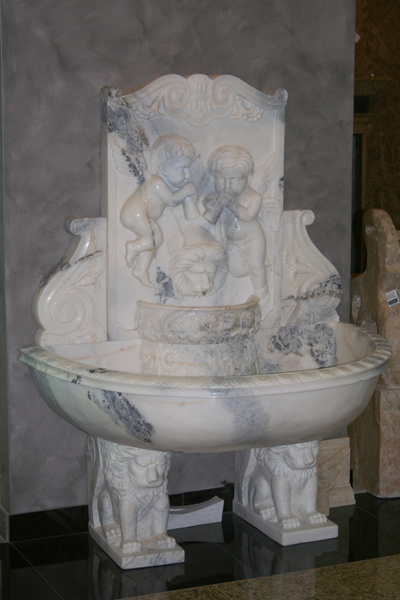 If you want a luxurious, one-of-a-kind, intricate fountain in your home, marble may be the perfect material for you. Keep reading to get some design inspiration for a marble fountain for your home.  This beautiful white marble wall fountain features intricate scroll details. The classic white marble this fountain is made of sets the stage for the beautiful carvings throughout this piece. ?  This large classical, tiered, pedestal style statue fountain is carved from antique-stained cumulus white marble. This fountain features Neptune, Poseidon and several Mermen (Hippocamp) statues. Click here to learn more about this fountain. 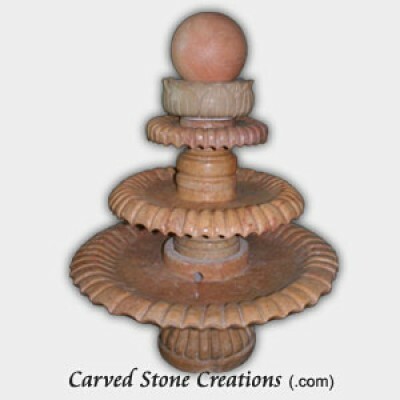  This mesmerizing floating sphere fountain is carved from a polished Golden Beige Marble. This fountain features a sphere that floats and spins as the water flows down, creating a truly mesmerizing experience. As you can see, marble fountains are breathtaking. If you are considering adding a fountain to your home, but arent sure how it will look use our free Photoshop service. 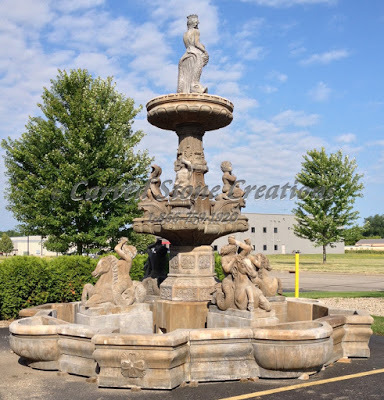 Click the link below for more information on how you can see your fountain before you purchase.